sarad, originally uploaded by Farl. The idea of the sarad as a backdrop for the wedding cake came to me when I saw a calender featuring the colored rice decorations. I knew I had to have one custom-made for our wedding cake. Largely ceremonial in function and not at all eaten- it is edible but quite bland- the sarad epitomizes communal spirit. 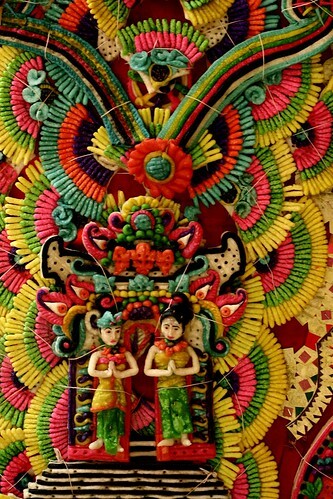 It is an art done together by women of a community. Uploaded by Farl on 13 May 07, 8.05PM ICT.